Zoo Berlin is in a class of its own! 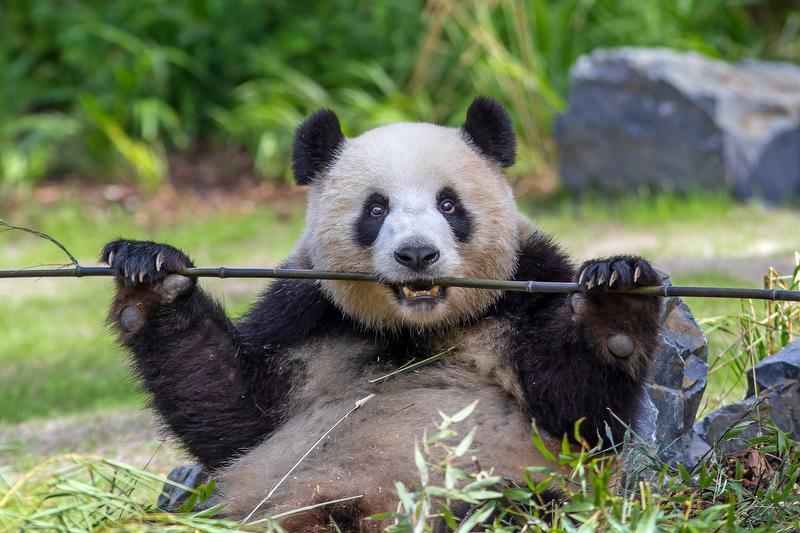 Not only is it the oldest and most frequently visited zoo in the country, it is also home to the largest variety of species of any zoo in the world – including the only giant pandas in Germany. Almost 20,000 animals representing more than 1,000 species live in this 33-hectare site at the heart of Berlin’s City West. A combination of historic buildings and state-of-the-art animal habitats creates a very special atmosphere throughout the zoo. Here, visitors can learn fascinating facts about our feathered friends in the World of Birds – Europe’s most modern bird house – watch the popular penguins torpedo through the water in the Penguin House, and witness a herd of hippopotamuses relaxing in the African landscape of our Hippo House. Zoo Berlin offers animal highlights for all ages every day of the year! Panda pair Meng Meng and Jiao Qing are another star attraction. Since 2017, the cute couple have been residents of Zoo Berlin’s Panda Garden – one of the most beautiful panda habitats in the world!